I love learning about other women's journey into success. It honestly takes a different kind of brave to put aside years of traditional passions to follow an untraditional passion. If you've been paying attention, nowadays female private chefs are becoming increasingly popular. Because I'm a naturally curious person, I wanted to know how some of these female private chefs turned their passion into successful businesses! So if you've been toying with the idea of pursuing your dream of making money as a private chef here is some advice for you on how to do it. Here is an interview with five private chefs who share their secrets for success. My name is Vanessa Martha Dossi. 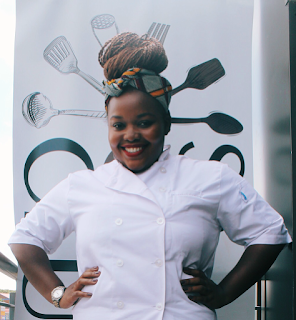 I am young accountant who has turned into a food blogger, private cook and caterer. I first established my love for cooking by cooking for friends and family and it has since grown into my budding business called Vanilla Scented Kisses. VSK started off as a blog to document my food experiences and has since grown into a platform where I share recipes and offer catering, private cook services and cooking classes. What’s the best way you’ve found to market yourself as a private chef? In marketing myself I’ve found it important to market myself and what I do accurately and thus I think it’s important to correctly label myself. I don’t refer to myself as a private chef. A chef is someone who has had professional training, I am not professionally trained. I respect the craft a lot and hence I refer to myself as a self-taught cook. I employ social media and word of mouth as the main methods to market myself. Generally, how do you find jobs? There is power in peer to peer validation and so I work hard to ensure I leave a great impression whenever I cook for my clients. This has helped me attract more clients through referrals. Social media, paid media and community groups like Brownsense have also been great platforms in bringing me clients. How much money can you make as a private chef? How long is a piece of string? lol Most people don’t embark on working in hospitality and culinary arts for money as their priority because it’s such a difficult industry to break into and can often be unrewarding financially. It’s something that is primarily passion driven in my opinion but as your experience grows, so can your returns. Besides being a private chef, do you work on other projects that let you earn money? Certainly, at this point I think diversifying is very crucial for financial stability and thus I offer other services. I am also a caterer for small to medium private events. I also host cooking classes. Group social cooking classes referred to as “Cooking With V” in addition to individual class packages for people looking to improve their cooking skills and require one on one attention. What advice do you have for women who have a serious passion for food and cooking and who want to become personal chefs? The three things I’d say are vital to making it are grit, knowledge and excellence. Grit because it’s going to be hard and you need to have the resilience to keep going. It’s of the utmost importance to be knowledgeable in your chosen craft. I think it’s great that I have been driven by passion to be self-taught, there’s a lot I have learnt on my own, but you can’t neglect the importance of refining your craft and having those certifications. This is something I’m working on currently. Finally, you must uphold excellence as a value. Always put your best foot forward. You can’t afford to be mediocre because that’s what will differentiate you from being someone clients rely on or not. If you want to get in touch with the Vanessa you can do it via her website, Facebook, Instagram and Twitter. Her number is +27 76 438 9282. I'm Charmaine Ramalope, a sassy, 30-something foodie eventer. I count myself lucky to wine, dine and earn a dime for it for a living. I host a bi-quarterly GlamFoodie Wine & Dine events at affluent venues, which attract aspiring fine dining enthusiasts with a taste for the finer things. 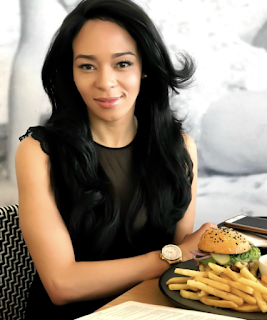 In putting together my signature GlamFoodie Wine & Dine evenings, I collaborates with some of SA’s (and the world’s) most respected chefs, hospitality partners and esteemed winemakers. What’s the best way you’ve found to market yourself? I’ve found the best way to market my business is through social media. Social media marketing is a powerful way for businesses of all sizes to reach prospects and customers. Your customers are already interacting with brands through social media, and if you're not speaking directly to your audience through platforms like Facebook, Twitter, Instagram, and Pinterest, you're missing out! It’s an effective yet inexpensive business marketing tool especially for start-ups. My business is still in its infancy so I need to be proactive and approach the brands whom I’d like to collaborate with and I also look at how I can be off value adding. I make it a point to attend as many industry events and networking sessions as possible which makes it possible to meet key industry players. The private cheffing space is in much demeans these days which makes it an exciting field to be in, I charge depending on how complex the menu is, costs of ingredients and how much time is needed to prepare. I’m flexible enough to also accommodate the client’s budget and work around that. A 5 course wine paired menu goes for approximately R800- R1,5k per person. Besides being a foodie, do you work on other projects that let you earn money? I do social media management for few food brands. What advice do you have for women who have a serious passion for food and cooking and who want to make money from their passion? Before entering a career in the culinary industry, ask yourself: are you doing this for the money? A very small percentage of cooks become celebrity chefs who become extremely wealthy in top-notch salaried positions. Make sure you love what you do. Assess if it you’ll be able to take the stress that comes with working in a professional kitchen, being responsible for producing a product which is served to patrons can be stressful because you need to ensure that the food is of high quality and that all the components of your meal are safe to ingest. Take in mind that this isn’t your usual 9-5 job, we often work long hours and even have to sacrifice holidays and weekends. If you want to get in touch with the Charmaine you can do it via her website, email, Facebook, Instagram and Twitter. I am a 32 year old Private Chef, born in Diepkloof Soweto. Worked in the corporate industry for 10years holding various positions in Asset Management, Telecommunications and the Motor Industry. 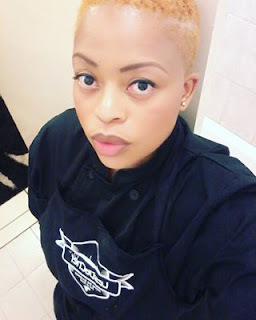 I studied at Prue Leith Chefs Academy and graduated in 2017 with a Grande Diploma in Culinary Arts and I am currently a Sous Chef at LesDaChef Culinary Solutions where we do everything from novelty cakes, private functions, media appearances and digital marketing on social media. Social Media has worked wonders for me. The LesDaChefis a very powerful brand and it has also helped to propel me to new heights. Usually through repeat clients and word of mouth. I also am always on the look out on social media for people who may require my services. It all depends on the kind of functions you have lined up for the month, however you can make a decent living. Besides being a private, do you work on other projects that let you earn money? Yes, I do digital brand marketing, appearances, help companies recruit kitchen staff. It is no secret that this is a male dominated industry and I feel like more and more women should take the bull by the horns. It is very difficult, the hours are long and it is strenuous on the body but I feel like all that becomes null and void if this happens to be your passion. I encourage them to go for it, the sky is the only limit. If you want to get in touch with the Chef Lelo you can do it via their website, email, Instagram and Twitter. You can call her on 060 389 1210. We are Lebo and Tebo Ndala. 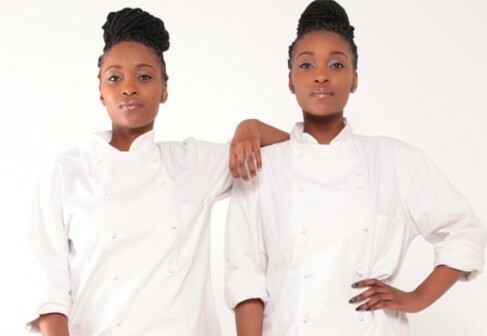 24 year old female chefs, born and bred in Mamelodi, Pretoria. We studied culinary arts at the Hurst Campus in Stellenbosch. We are passionate about everything food. We are pop up Restaurateurs and we absolutely love cooking for people. We are passionate about the food and media industry, food photography and food styling. What’s the best way you’ve found to market yourself as private chefs? Through social media, it’s the easiest and fastest way to connect to a huge group of people who could be interested in what you do. So we do Twitter, Instagram, Facebook and blogs. Through word of mouth. We get referred to a lot. Well, it depends on how experienced you are and how big your brand is and of course on how much you think you’re worth. We personally don’t have a set price. We normally work around the budget they have and create a menu around that. It all depends. Besides being private chefs, do you work on other projects that let you earn money? Yes. We are assistant food editors for a few magazines. We are pop up Restaurateurs. We do a lot of campaigns for big food brands and food blogging. We are food writers and recipe developers for willing publications as well. The easiest and greatest advice would be to not give up. It’s a very tough and competitive industry and on some days very discouraging but it’s totally worth it. Be consistent!! Always. Also, social, meet people, make friends and be friendly, you never know, these people are your potential clients. If you want to get in touch with the twins you can do it via their website, Facebook, Instagram and Twitter. Are you a chef in the making?